Beginner & intermediate courses from a boat in Corralejo, Fuerteventura. Fun, safe & efficient kitesurf training in perfect conditions! We operate our lessons with a kite boat ensuring you total safety and enough space to learn progressively in the best water conditions. No crowded kitesurf spots. No wasting time walking back on the beach. Just ride and enjoy in your own space. If you are a beginner or have no kitesurfing experience, then this course is perfect for you. The course includes kite flying sessions on the beach and kitesurf water session by boat. Wind theory and how to set up and pack down your equipment. Fly & control your kite and learn how to use the basic safety systems. 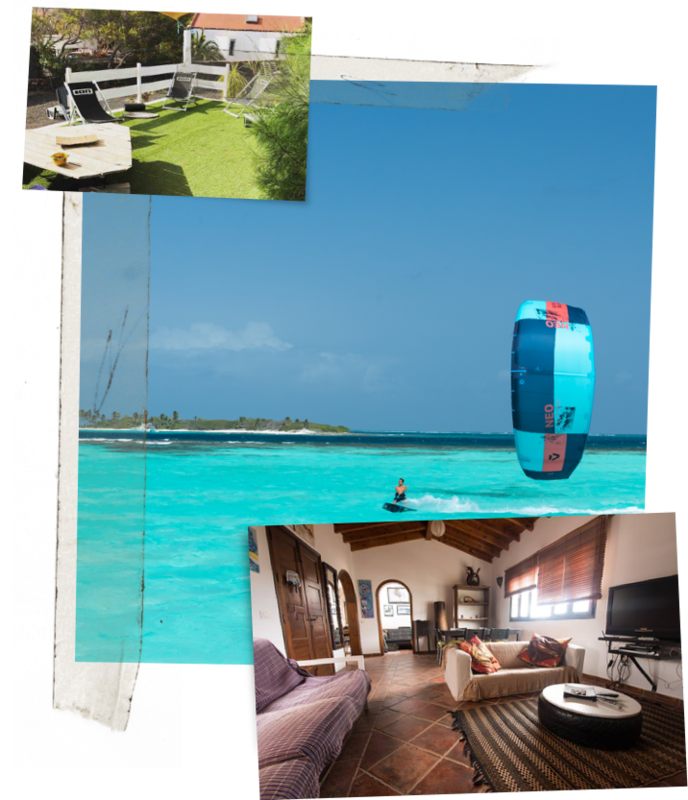 Transfer by boat to the best kitesurf spots for your level. Kite flying, Kite relaunch and Kite landing in the water. Bodydrag with and without your board. Exercises to get you ready for the waterstart. Now its time to take your board for the Waterstart:-) It might take a few attempts but soon you will be up on the board riding upwind. Good job! Have you done a previous kitesurfing course? Do you already know how to control your kite and you are now ready for the water? Do you want to improve your Kitesurf skills? Then this course is perfect for you! The first day starts with a short (2h) security & boat preparation session on the beach. Transfer by boat to the best kitesurfing spots for your level. Launch your kite from the water. Bodydrag, waterstart, riding and transitions. Upwind & downwind riding and edging techniques. Depending on your personal level, we will focus on whatever is necessary to improve your kitesurfing skills. All of our kitesurfing courses can be customized to your level and experience. Freestyle training, handless, wave riding, kite coaching, kite guide, kite safari... Let us know your needs and we will make it happen!